Dr. Leifman is an internationally recognized expert in the area of human development. He currently advises and consults with corporate clients, consulting firms, not-for-profits and individuals specifically on: career development, executive coaching, change management, counseling, human resources, out-placement, training, recruiting and staffing and time management. Dr. Leifman is an adjunct faculty member at New York University and LIM College and formerly at Vaughn College of Aeronautics. Courses he has taught include Marketing, Human Behavior, Organizational Behavior and Labor Relations. Additionally, he has held University positions involving student affairs and alumni relations. Prior to starting his own consulting practice, he was the Chief People officer of Vault.com from 2000 to 2002, a web site for career information. His role was to oversee all Human Resource functions for the firm. These responsibilities included benefits, compensation, employee relations, recruiting and training. During this time, he was also the President of Vault's Human Resource Consulting Practice, offering advice and consulting services on Recruiting, Interviewing and HR strategy. He counseled individual clients and provided information and coaching on determining one's career directions. He is qualified to interpret Myers Briggs, Strong Campbell Assessment tests, the NBI (Neethling Brain Instruments), Hogan, and LEA (360 assessments). Prior to his work at Vault, he was a principal and the National Director for Strategic Staffing and Recruiting for William M. Mercer, Inc. (1998-2000) where he directed all US recruiting for the 12,000 person Global HR consulting firm. Before joining Mercer, Dr. Leifman was a Senior Consultant in the Diversity Practice as well as recruiting and training and development area of Towers Perrin (1994-1998). Dr. Leifman was also the Director of Special Services, New York University, Stern Graduate School of Business. During his tenure at Stern, he counseled and coached over 6,000 MBA full-time and part-time students on their careers. He is a member of the Conference Board, Society for Human Resource Management, National Association of Social Workers and on the board of a number of charitable organizations. 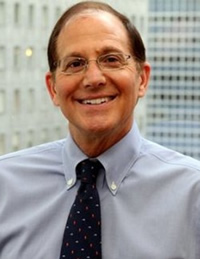 Dr. Leifman earned a Bachelor’s degree from Syracuse University, a Master’s degree in Communications Management from Syracuse University, a Master’s in Social Work from New York University and a Ph.D. also from New York University. His dissertation was on, "Family of origin roles and adult work roles in relation to employee adjustment, satisfaction, and success." Dr. Leifman has guest lectured at Harvard, MIT, NYU, CUNY, Stanford and the College of Aeronautics and has worked and lived internationally.